It's Friday! You made it! 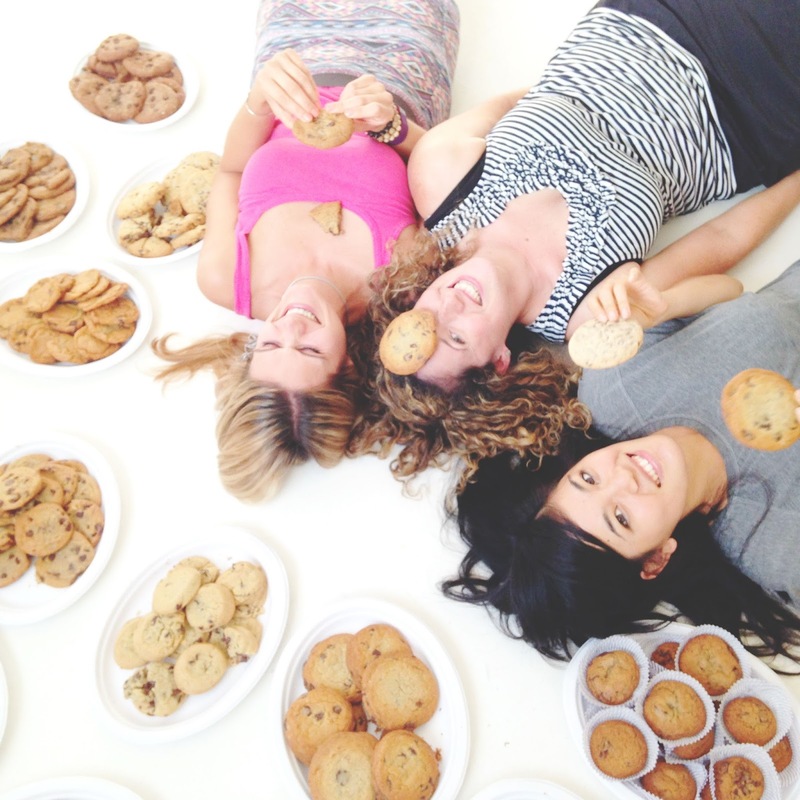 You deserve a cookie! 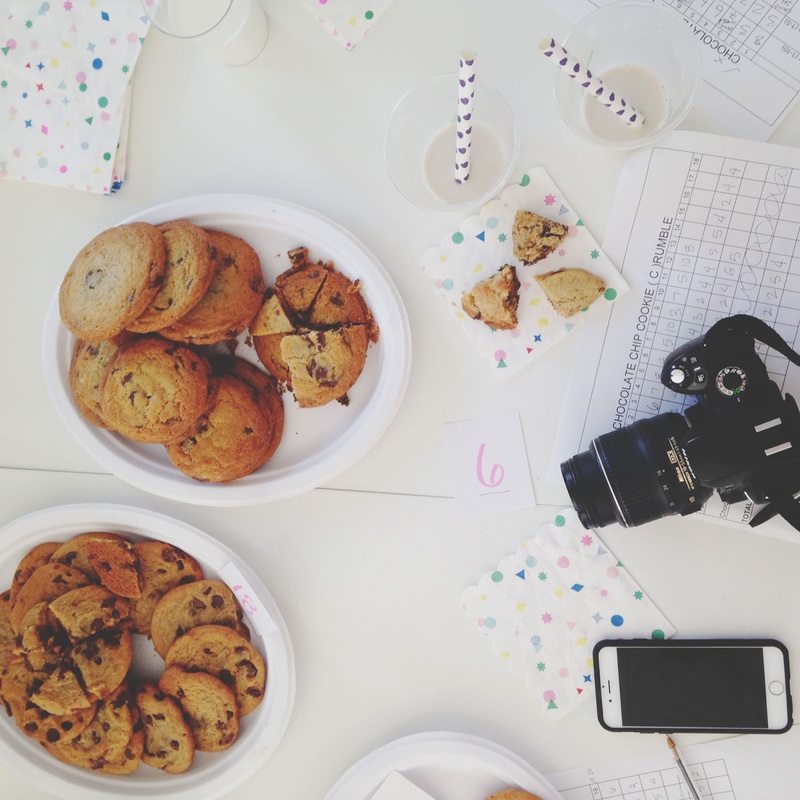 If any of you regularly follow the local food bloggers, you may have seen that there was a super fun get-together involving chocolate chip cookies last weekend. 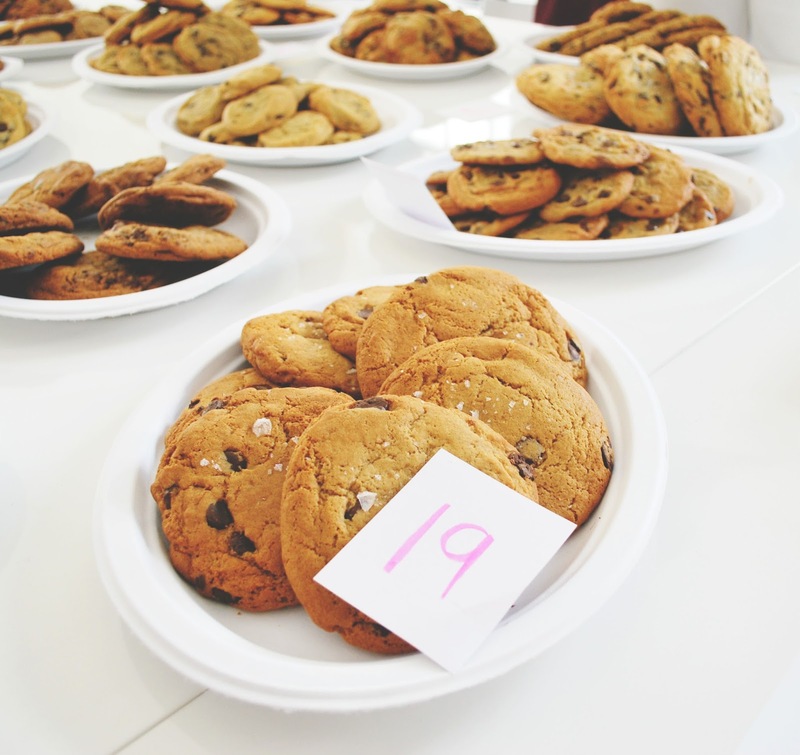 A group of Houston bloggers did a blind sampling of twenty different chocolate chip cookies from around town, and I was fortunate enough to be a part of it! 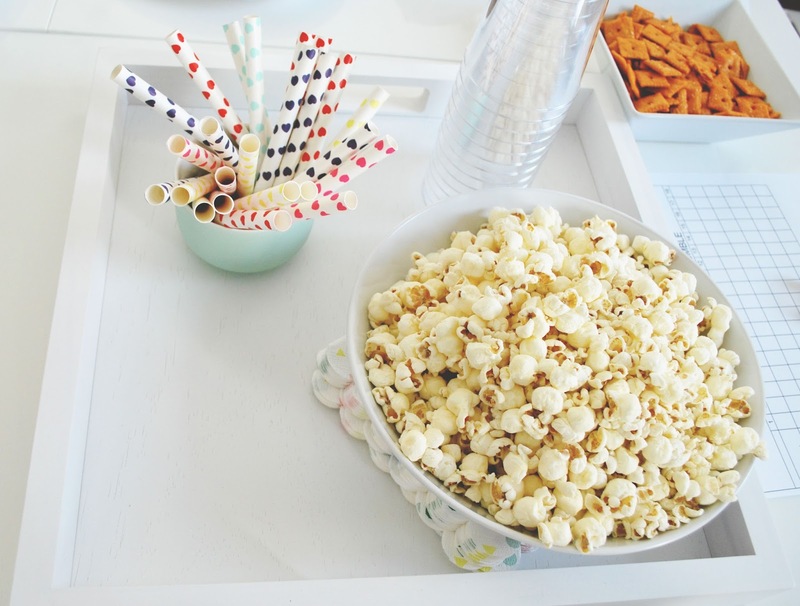 Organized by my idol-turned-awesome-friend Erika, and hosted by Ashley Rose and Jared in their beautiful studio, the sugar-fueled event was a total blast! The bakeries and restaurants that participated in the (c)rumble were Ooh La La, Mongoose Versus Cobra, Weights + Measures, The Chocolate Bar, New York Bagels, Fluff Bake Bar, Barnaby's, French Gourmet Bakery, Petite Sweets, Brown Bag Deli, Tout Suite, Michael's Cookie Jar, Common Bond, Pondicheri, Red Dessert Dive, Smoosh, Siphon Coffee, Tiny Boxwoods, Tiff's Treats, and Revival Market. 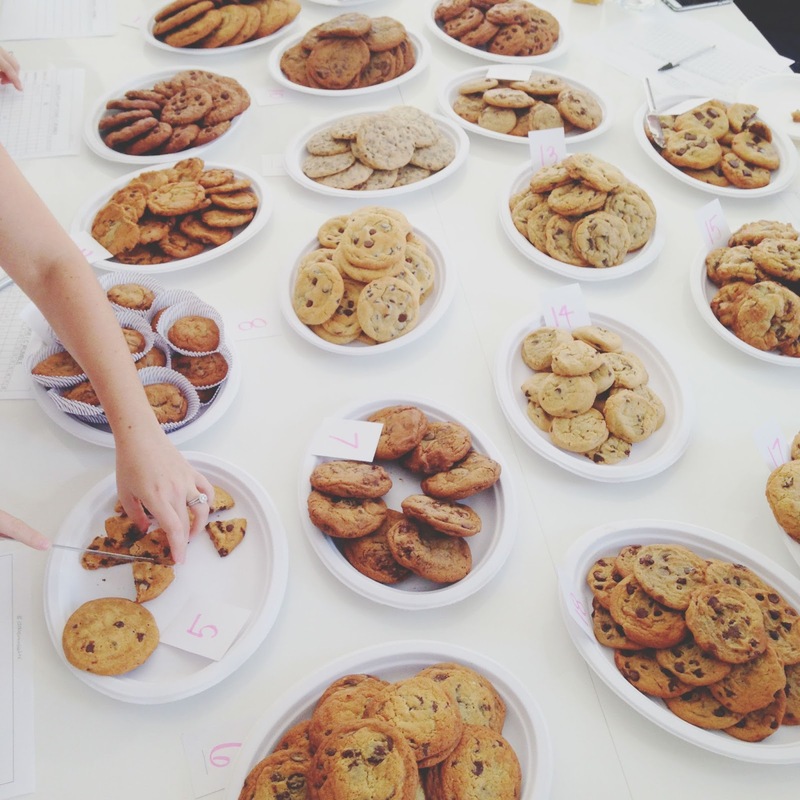 That being said, all twenty cookies were unique and lovely and delicious in their own way, and I would gladly order them all at different times, depending on what kind of mood (i.e., super chocolatey mood, not so sweet mood, gooey mood, salty mood...you get me) I was in! 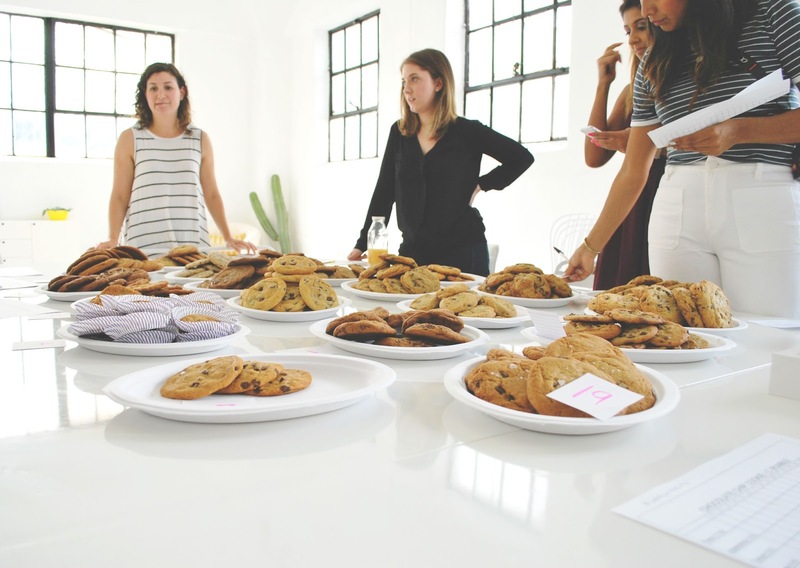 The cookie monsters in attendance were Erika (The Pancake Princess), Ashley Rose and Jared (Sugar & Cloth), Lisa (Maple and Love), Isabel (www.tastemade.com/@isabelissimaa), Claire (The Petite Professional), Julie (Aces of Taste), Lauren (How to Eat, R.D. 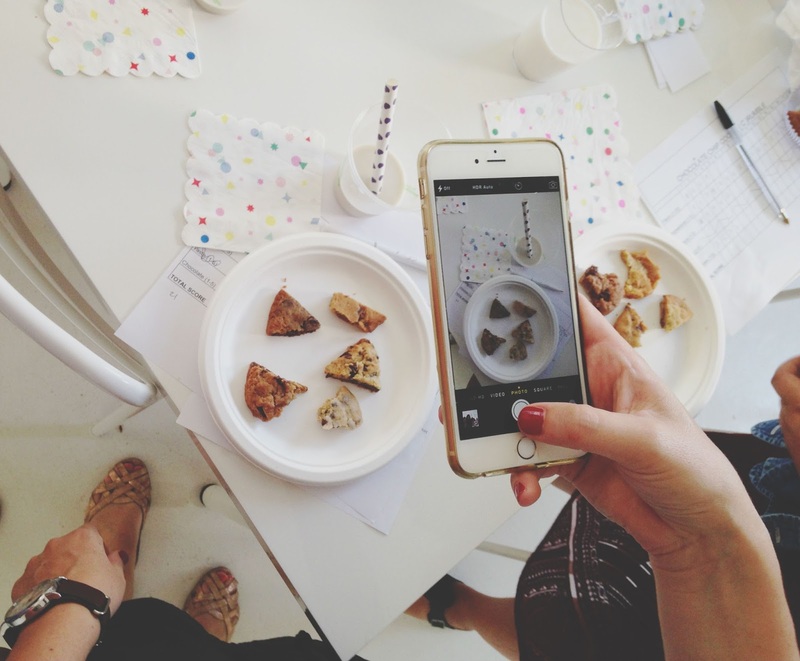 ), Jenna (www.instagram.com/starvingfoodist/), Abby (ShopGirl Blog), Megha (www.instagram.com/hotpinkhouston/), Morgan (The Foodie Chef), and Erin (Tidbits). If you have a chance, go pay their sites a visit - They are all super awesome!! Not only are their sites and contributions to the Houston food scene awesome, this is a warm, friendly, inclusive group of people. One thing I've learned from the many food events I've attended in Houston is that no one is a stranger! And thank you again to all of the bakeries and restaurants who contributed to this wonderful shindig! They each bring a unique and exciting flavor to the Houston food scene. I recommend every one of them! 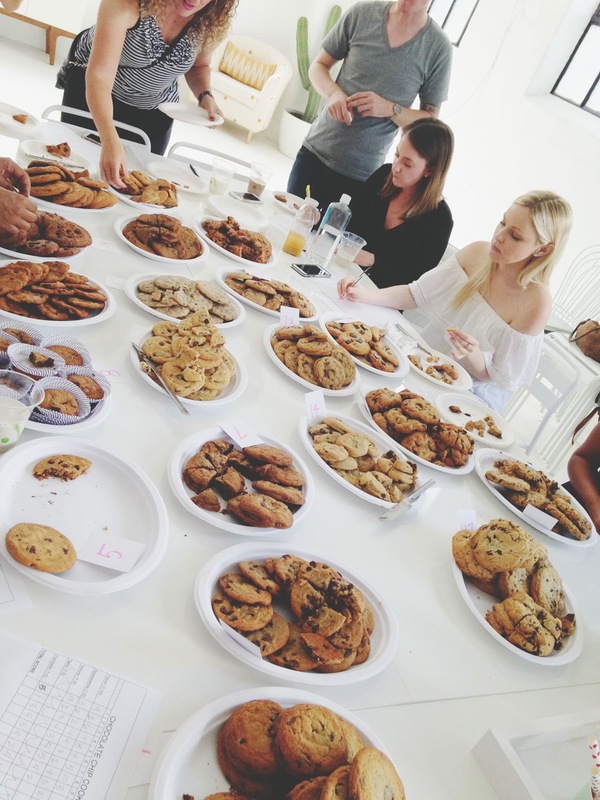 All of the cookies. a l l. o f. t h e m.
Omg I LOVE THIS. And your top 5. I loved all of those. Cookie doughy French Gourmet 4 lifeee. Also "idol-turned-awesome-friend Erika" STOP. 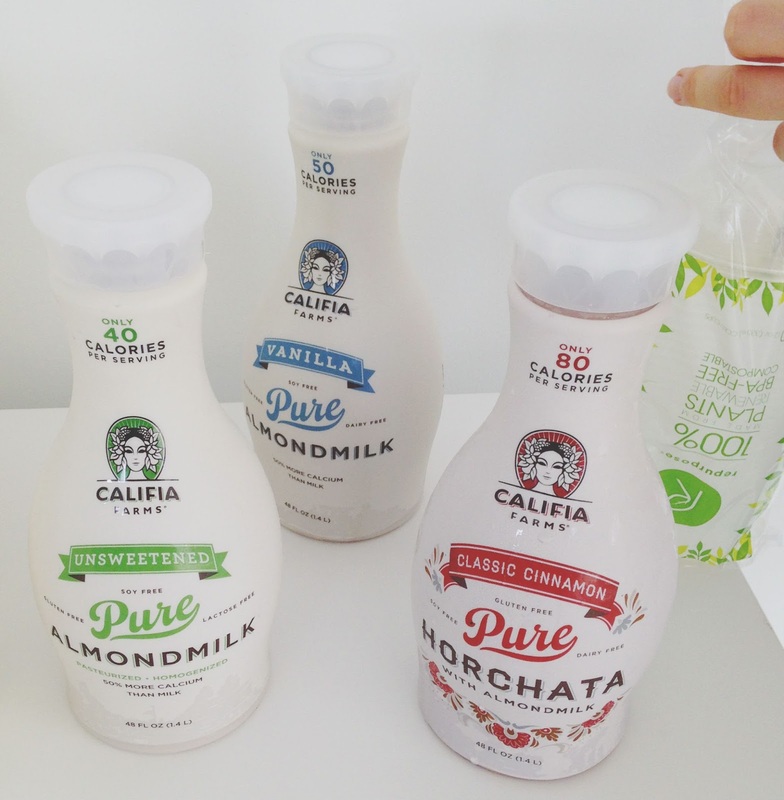 You were basically my restaurateur idol before we met. So glad we became friends!! I'm drunk on cookies and this giant love fest we're having. 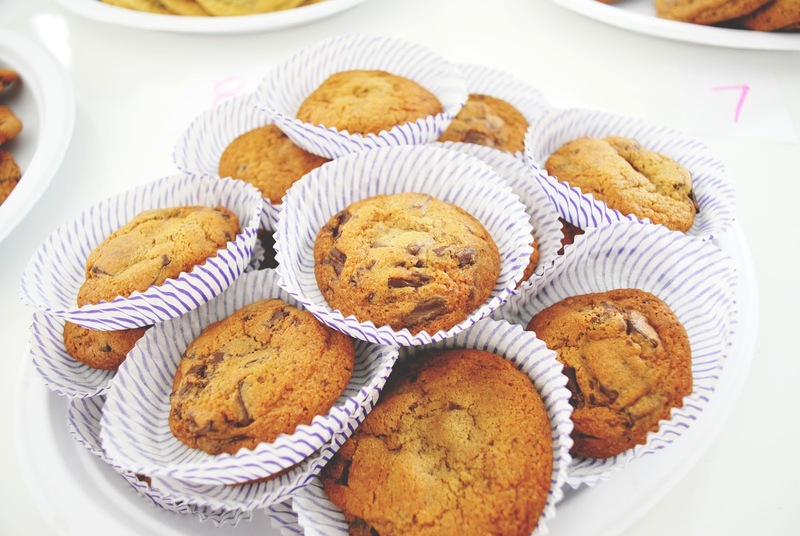 I need to find a way to get invited to these things simply because my husband is a chocolate chip cookie-aholic and I was able to identify many of these on sight alone (yes, I was stalking the hashtag and salivating). Common Bond is probably my favorite, though Tiny Boxwoods is good (just not in my regular rotation). When we lived in Katy, we were Ooh La La drive-thru regulars and always sad when the cookies were sold out at the end of the day (okay fine, A was but I'm more of a slave to their cupcakes). Anyway, this looks amazing and way to add to my blogging identity crisis because now I want to focus on food just to get to play with baked goods all day! 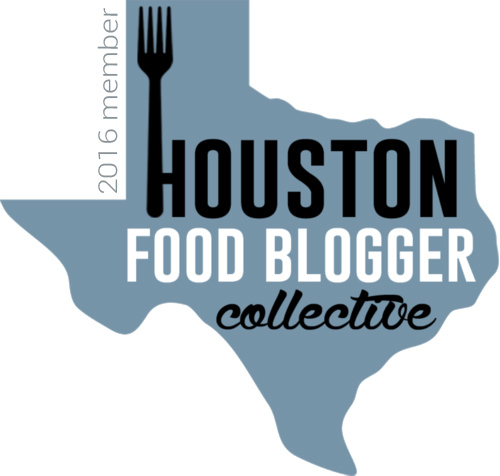 Also, I definitely recommend applying to be a part of the Houston Food Blogger Collective (http://www.houstonfoodbloggercollective.com/), you'd be perfect for it. They do a lot of fun events and have great suggestions for things going on in Houston!